With the addition of photo sharing programs like Pinterest and Instagram to the social media revolution, business owners can no longer afford to ignore the benefits of jumping on this bandwagon. 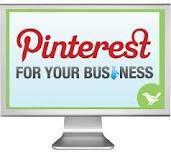 Today we are going to talk about how to use Pinterest for business and to attract more customers. According to a recent survey conducted by PriceGrabber.com, 21 percent of the people who were surveyed and had accounts on Pinterest claimed they bought products from photos they pinned onto their boards. Those are some real numbers that can add up in profits for a small to medium-sized business. Spend some time really thinking about who your customers are—what do they like, what is their age range, what motivates them, what is important to them, etc. and pin photos that talk specifically to them. You need to commit some time to using Pinterest on a regular basis but once you are familiar with the program, you can develop and refine your process so it isn’t so time consuming. Always remember that The Savvy Socialista offers Pinterest Marketing if you need some help! Pinterest is an effective way to give your product or service a personality, so use it as a way to personally connect to your audience so they will want to do business with you and your company. You can do this by naming your boards snappy and fun names to get attention, using humor where appropriate and using your brand identity to create new visuals that are informative and interesting for pinners. Keep in mind, we all like pretty pictures! The good news is that Pinterest is now contributing to the business side of the social media revolution by adding new business tools such as secret boards to make it easier for the business community to use their social network. 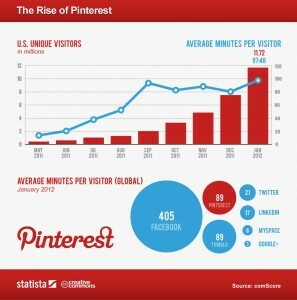 For more information on attracting customers to your Pinterest site, you may want to check out a good read by Beth Hayden called Pinfluence-the Complete Guide to Marketing your Business on Pinterest. 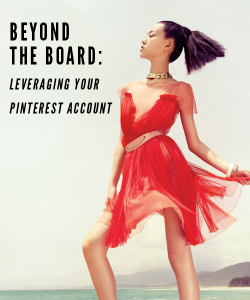 Studies show that Pinterest complements other social media programs like Facebook and Twitter so don’t be left behind while the social media revolution rages on—jump in and claim your space and start attracting new customers!